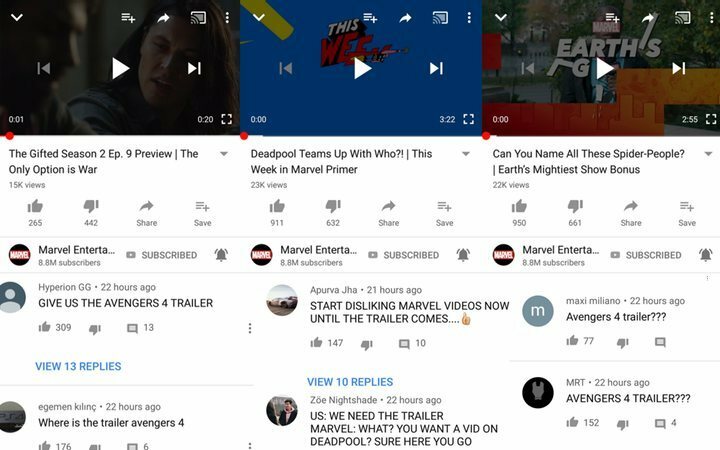 One Reddit user collected these screenshots in which we can appreciate how some users have begun to give a "thumbs down" on every video uploaded by the Marvel YouTube channel until the release of the long-awaited trailer. The comments also show enraged fans demanding the trailer's release... Despite the protests of the fans, however, it seems that the Russo Brothers are unfazed by the keyboard warriors. Perhaps YouTube comments aren't the most effective form of protest... who would have ever guessed that? There has still not been any form of official confirmation from Marvel Studios with regards to when we can expect to see the trailer, but fans insist (with no real ground) that it will be released any minute now, hoping to see it online within the next few weeks. Love is blind. After the ending in 'Avengers: Infinity War', in which Thanos managed to get ahold of all six Infinity Stones and turned half of humanity to dust with a click of his fingers, 'Avengers 4' will take us back to the survivors of the previous film, and their attempt to resolve the disaster caused by Thanos. The film united Marvel characters from many of the sub-franchises in the MCU, including 'Guardians of the Galaxy', and 'Spider-Man', thus the cast list is almost as long as the wait for the next trailer. 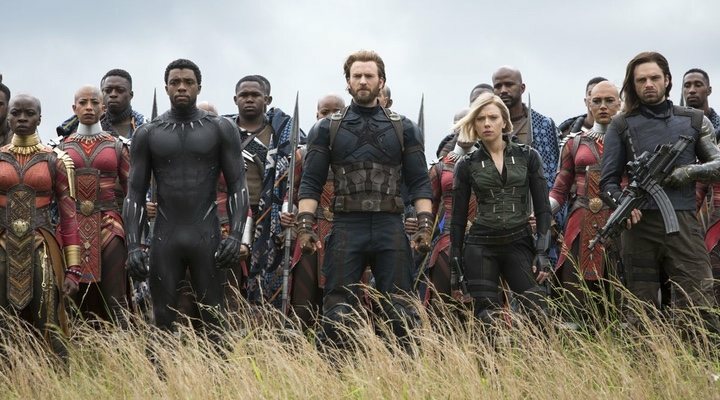 In addition to all those we saw in the first half of this installment, in the next film we are promised the like of Paul Rudd (Ant-Man), Jeremy Renner (Hawkeye), Brie Larson (Captain Marvel), Frank Grillo (Crossbones), Tilda Swinton (The Ancient One), Evangeline Lilly (The Wasp) and Katherine Langford, who will be playing a new character. It is also rumoured that we might be able to see the return of Aaron Taylor-Johnson (Quicksilver) and Tessa Thompson (Valkerie). We still have no name for the upcoming 'Avengers 4', but we do know that it will be coming to cinemas on May 3rd 2019.